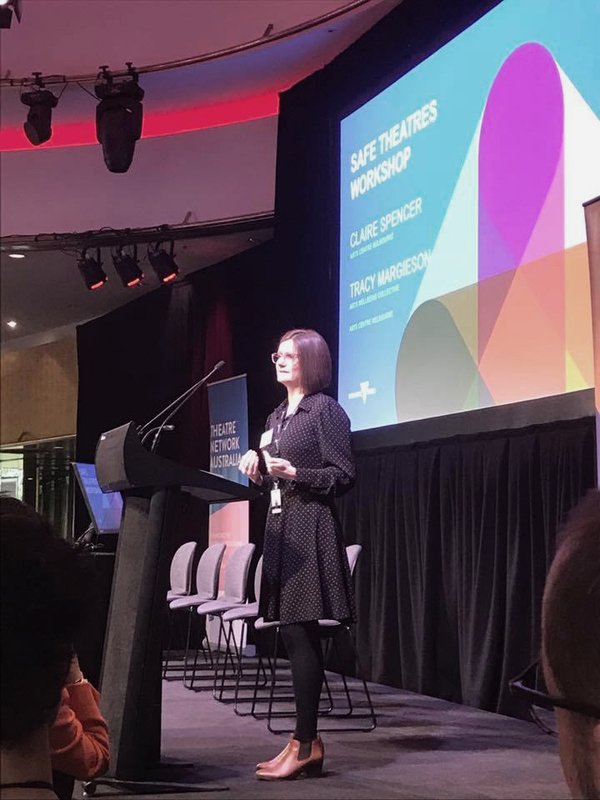 Safe Theatres Forum was held at Arts Centre Melbourne on Tuesday 9 October. 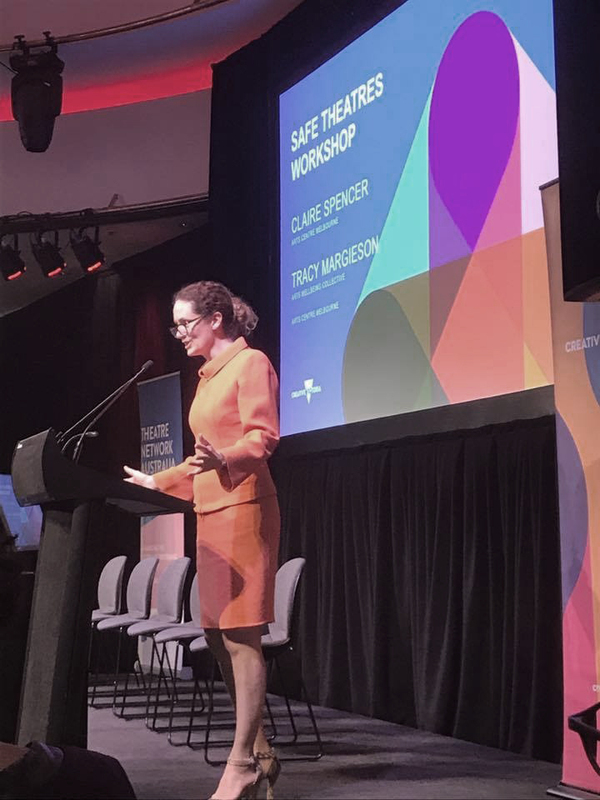 The forum was hosted by Creative Victoria in partnership with Theatre Network Australia, Melbourne Theatre Company, Malthouse Theatre, Live Performance Australia and Arts Centre Melbourne. As Live Performance Australia recently released its Australian Live Performance Industry Code of Practice to Prevent Workplace Discrimination, Harassment, Sexual Harassment and Bullying, the session focussed on bringing the code to life with roundtable discussions and practical responses, with input from the Victorian Equal Opportunity and Human Rights Commission. Thank you to everyone who participated in the forum, and thank you to the teams from Creative Victoria, Theatre Network Australia, Live Performance Australia, MTC and Malthouse Theatre for your wonderful efforts in organising the event, and for your generous invitation to present on the Arts Wellbeing Collective and other safe theatres initiatives at Arts Centre Melbourne. What do Weinstein, Spacey and others have to do with OHS? Health and Safety consultant Kevin Jones shares his thoughts on the mental health effects of workplace harassment in the entertainment industry. From the outside looking in, it can seem like others possess the secrets to a flourishing career in the arts. We dig deeper, revealing that no one really knows what they're doing. West End actors including Caroline Sheen and Jodie Jacobs have revealed their battles with anxiety in a bid to encourage more industry conversations around mental health.